A Russian born painter, influenced my philosophy and mythology, Mark Rothko’s art grew through a range of styles. From figurative to abstract works, Rothko’s paintings were full of emotional content. White Center was one of Rothlo’s most popular paintings. 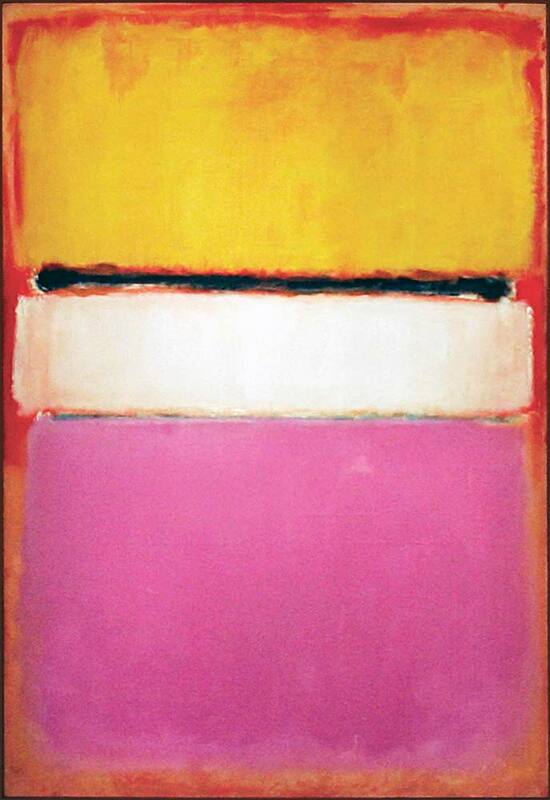 An abstract painting, completed in 1950, White Center was sold in 2007 for 72.84 million USD. This post-war Rothko painting is considered to be one of the most expensive pieces of contemporary art ever sold at an auction. The painting, top to bottom, signifies Rothko’s multiform style of abstract painting. A rose ground, darker in color on top and paler at the bottom, holds a horizontal yellow rectangle, followed by a black horizontal strip. A white rectangular band is in the center of the painting, and the bottom is lavender. Several tones of the colors were used, establishing the effect of a wide range of mood and atmosphere.